The Origami Osaka daily workshops offer you with easy steps and guidance in Japan's most popular art form. This one is a favourite for adults and kids alike. It is an art form where paper is folded to create a range of shapes including animals, flowers or people. Have you ever made a crane out of paper before? You will after completing this workshop! This is a great experience for families as children enjoy making these paper creations. They feel a huge amount of pride from completing these origami projects with easy to master techniques by themselves. Of course, this goes for any of those young at heart as well! In the Origami Osaka class, you will have a go at creating your own Japanese paper artwork to take home as a memento of your experience. All classes will be in English. And this class are held on the 5th floor of Maikoya Osaka which is built as a traditional Japanese house. At the end of the workshop, you can continue with a range of other activities and workshops at Maikoya Osaka to create a Japanese cultural experience you won't ever forget. Please relax in a classroom decorated in traditional Japanese décor and architecture. You will have a collection of beautiful and delicate origami pieces that you can take home and show your friends. You will also have an opportunity to learn how paper folding became popular in historic Japan. Explanation of why certain images, like cranes, are revered through the telling of Japanese folk tales. 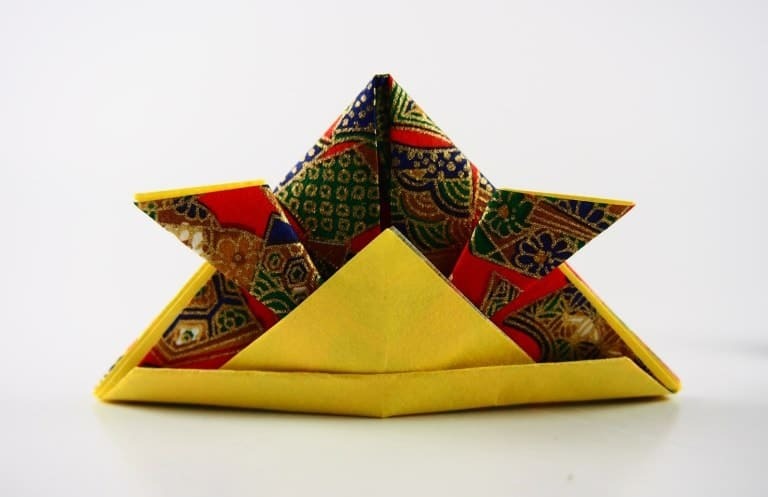 A workshop in origami that describes important historic and symbolic references!